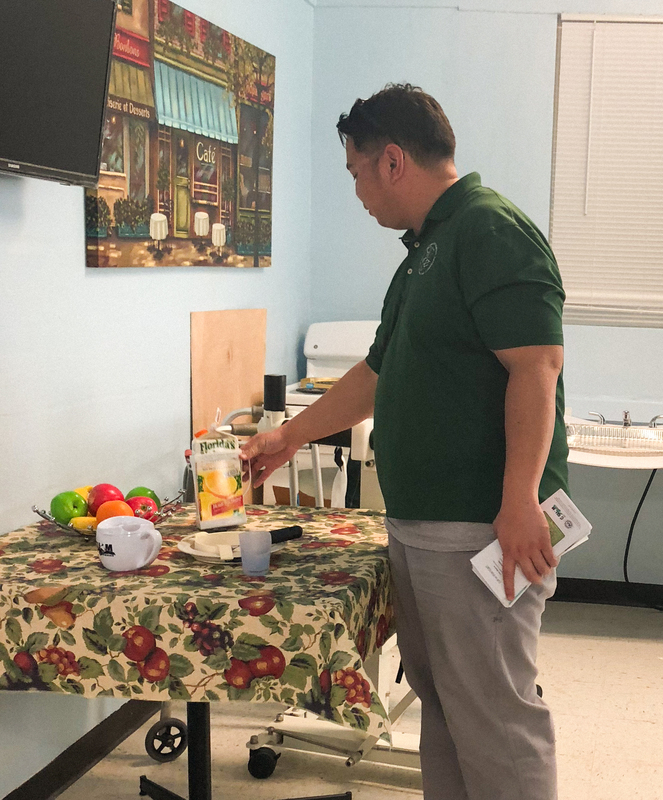 On August 28, 2018, Ronnie Santos from the Guam Housing and Urban Renewal Authority Resident Opportunity Self Sufficiency (ROSS) Program met with Leah Abelon, GSAT Center Coordinator, to explore the various Assistive Technology devices and GSAT services available for ROSS clients. The ROSS program assists the elderly and individuals with disabilities by linking these individuals to services within the community that can help sustain and maintain independent living. 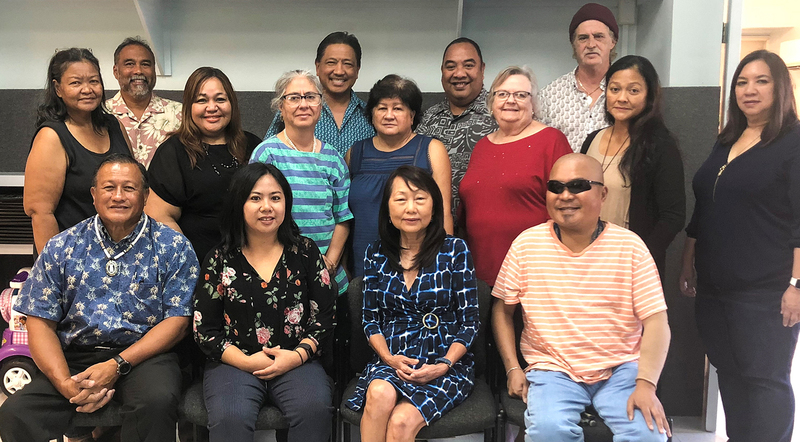 On August 28, 2018, Charles Sallinger and Irene Bustos-Sallinger visited the Guam System for Assistive Technology (GSAT) to explore Assistive Technology options for individuals with visual impairments. GSAT demonstrated the Clearview + Speech CCT, a 24″ video magnifier with color contrast and text to speech capabilities; the Eyepal ROL, a portable scanner and reader; and the Smartview Versa Portable Electronic Magnifier, a handheld electronic magnifier that magnifies up to 15x and also has color contrast features. 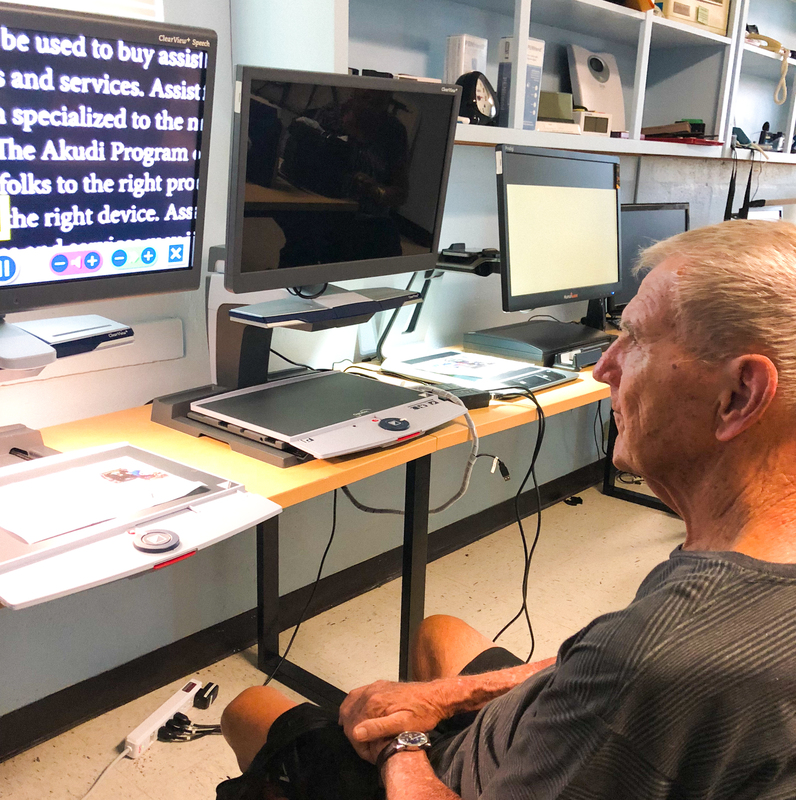 Through the short term device loan, Mr. Sallinger borrowed the Smartview Versa portable electronic magnifier to help determine if the device will meet his needs. 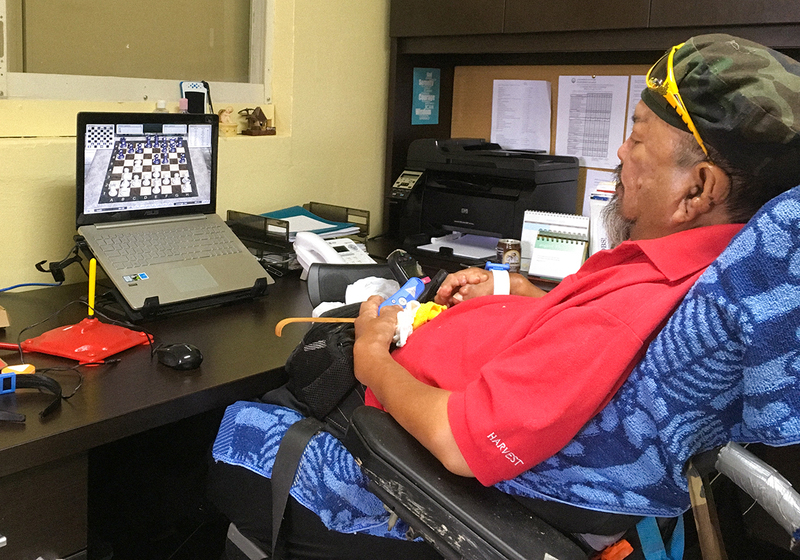 On August 15, 2018, Tom Manglona visited the Guam System for Assistive Technology to try the Therapy Mouse, a motion-sensing and pointing device that enables individuals who have difficulties using their hands to control a computer. The Therapy Mouse functions can be accessed through the provided clicker or adaptive switches depending on the client’s needs. Guam Election Commision staff provided information to a participant during the 24th Annual GSAT Assistive Technology Conference on March 2, 2018 at the Westin Resort Guam. The Automark is a ballot marking device that provides autonomy to voters who are blind, visually impaired, or have a disability or condition that makes it difficult to traditionally mark a ballot. 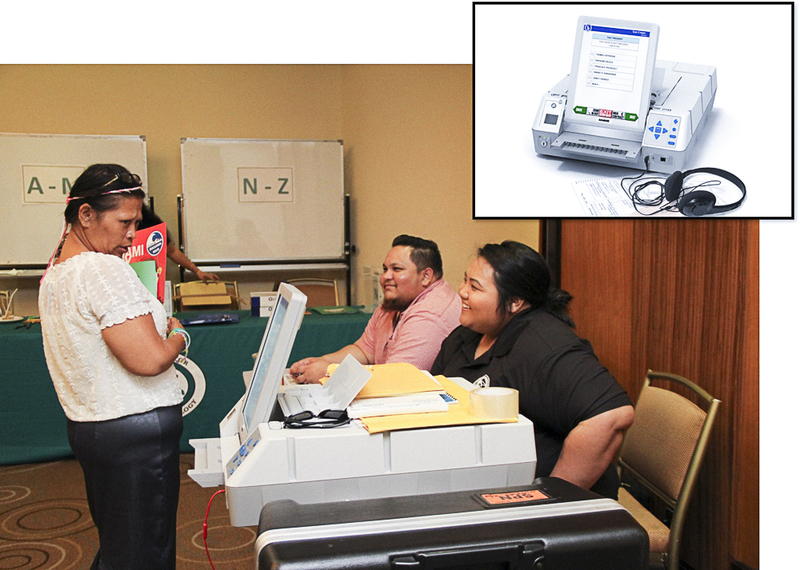 The voting machine was obtained by the Guam Election Commission in 2016 and has since made the device available for voters with disabilities to cast their votes independently. Voters who wish to use the AutoMark may do so during the In-Office Absentee voting period for the Primary Election from July 26, 2018 through August 24, 2018 from Monday through Friday, 8:00 a.m. to 5:00 p.m. For the General Election, the In-Office Absentee voting period runs from October 8, 2018 through November 5, 2018 Monday through Friday, 8:00 a.m. to 5:00 p.m. Voters will need to bring their government-issued photo ID to vote. 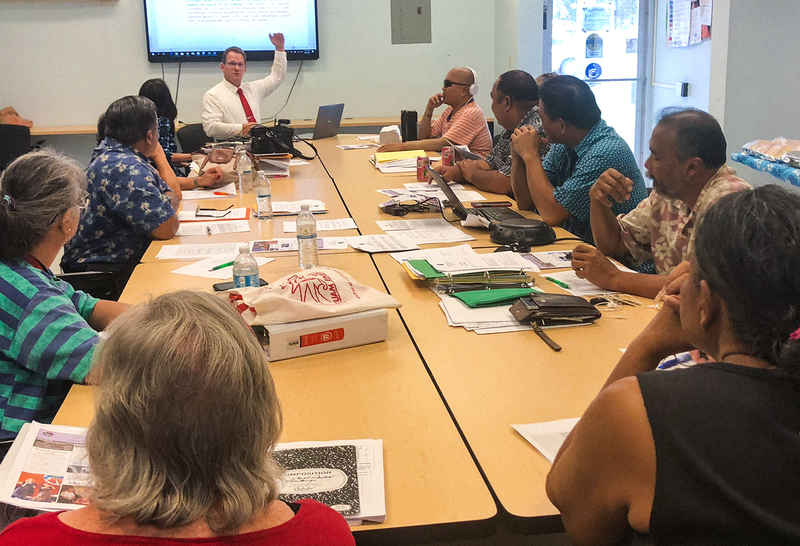 For more information, individuals can contact Guam Election Commission at 477-9791. 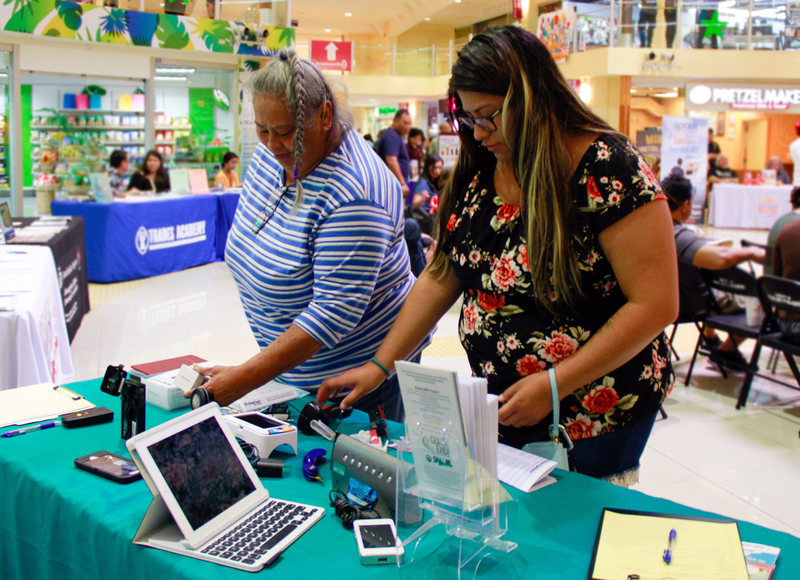 On August 5, 2018, the Guam System for Assistive Technology (GSAT) participated in the Bae Day Island-wide Fair at the Agana Shopping Center. The community event, hosted by Spark, a program under the Westcare Pacific Islands, hopes to raise awareness of healthy relationships and provide opportunities for families to engage in conversations and activities that strengthen their relationships. Pictured here are two participants who visited the GSAT table to learn about the various devices used to keep the home monitored as well as adaptive grooming aids for individuals who have limited hand function.